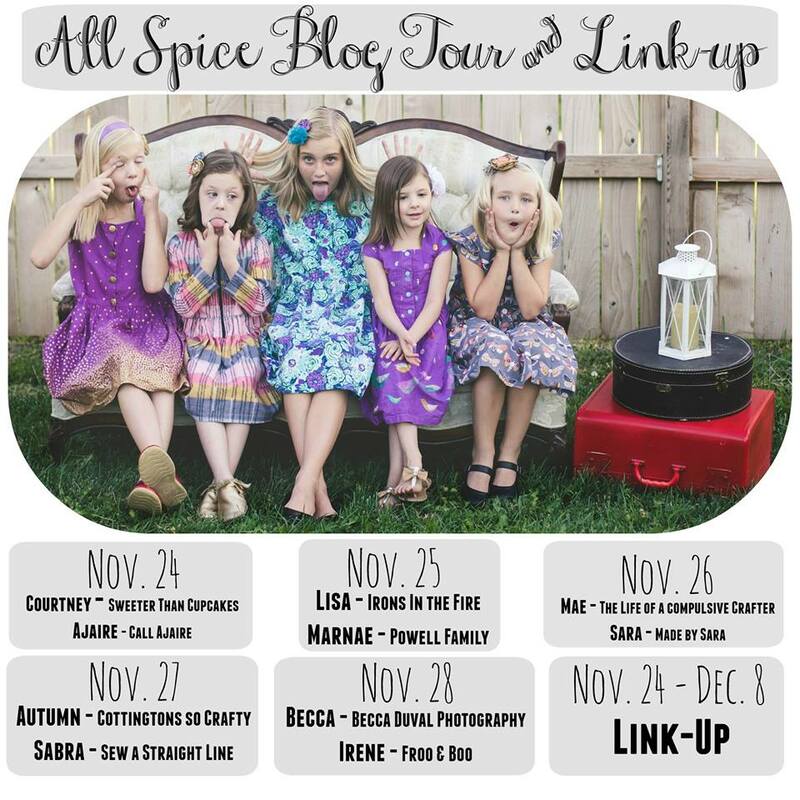 Welcome to my little stop on the Paisley Roots - All Spice Dress blog tour! Want a dress with lots of sleeve options plus two types of bodice closures? 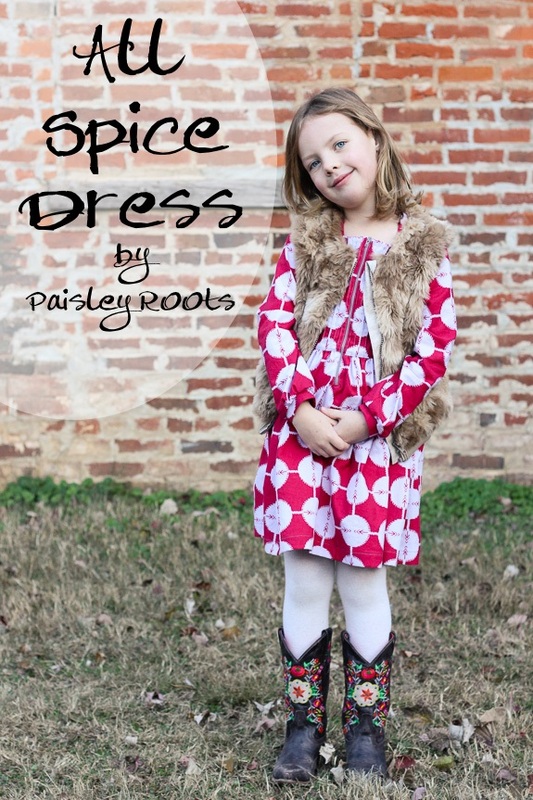 Karly has you covered with her All Spice Dress pattern!! With 4 sleeve options and two front closures, the All Spice dress can take you through every season. The pattern itself has a table of contents to guide you to each step. The detailed printing guide lets you know which pattern pages to print for each dress option. With 54 pages, you can be sure there are detailed instructions and photographs for each step along the way. The details of the dress that I love the most are the front pintucks and square neckline. Of course, you can choose to omit the pintucks for another look, and Karly guides you right through that option. As for Avery's dress, it's fabulous yet flawed. I was eager to create the zippered bodice, but I forgot a few things along the way. In an attempt to prevent you from having the same trouble, I'd like to remind you to mark your zipper at any critical location for matching your prints, including the bodice and skirt seam. It also helps to sew your zipper on in the same direction on each side, i.e. top to bottom. I honestly ran out of steam to rip mine out and sew the zipper in again. Forgive me!! Of course, it cancelled out the care I took in cutting the pattern pieces to match! The only change I made to the original pattern was in the sleeves. I widened the bottom slightly and added a cuff for a bit of a puffed sleeve. I love this finish with this dress style!! 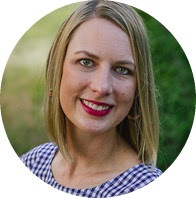 I'm still pinching myself that I bought this Field Study fabric right inside Anna Maria Horner's home during Craft South! Those of you who receive our family Christmas card will be seeing more of this dress. There are more goodies to let you know about!! First, you have a chance to win some awesome prizes during the blog tour through the Rafflecopter. Next, make sure you follow along the blog tour to see the other amazing creations. Finally, link up any Paisley Roots or Blend Fabric creation for more chances to win! love those boots and dress!